Are you ready for a new mystery seed of the week? 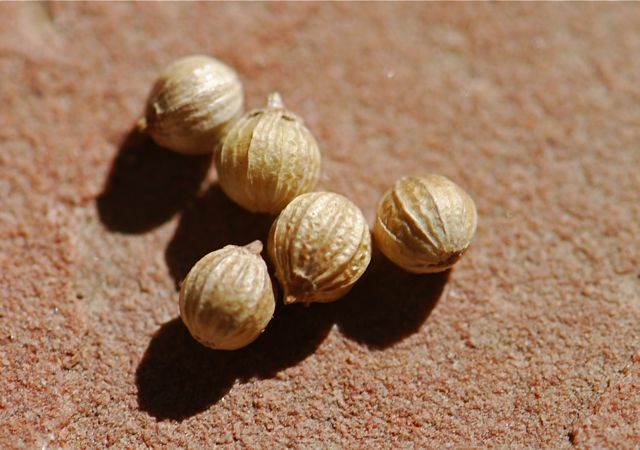 These lovely smelling round seeds might be found on your spice shelf, although they are more often ground. They are roughly the same size as peppercorns, but they are not peppercorns. Would this be coriander and when it is ground, it is called cumin? You have it mostly there.